Megan Bower achieved Top Ten status within her office in 2012, and once again gained entry into the “Sterling Society” within Coldwell Banker nationally. After 12 years with her previous broker, Megan was invited to join the new Coastal Properties Group International, the Tampa Bay affiliate of Christie’s International Real Estate, in 2013. Megan has also gained the prestigious National Association of Realtors “e-PRO” designation. After completing an intense course on the use and requirements of the Internet in providing stellar service to Buyers and Sellers. Currently, only 1% of the nation’s Realtors are certified. She has also been active for several years in the Marty Lyons Foundation, the local Relay for Life (benefiting the American Cancer Society), and neighborhood fundraising for the American Heart Association. Megan was born and raised in St. Petersburg, Florida. She attended the University of Florida and graduated with a Bachelors degree in Marketing. Following college, Megan went to work for Eastern Airlines and was transferred to San Francisco, California. She was then swept into Silicon Valley’s high-tech revolution and held successful marketing and sales positions with three different IT companies, including seven years with Apple Computer in Cupertino (CA), Charlotte (NC), and Atlanta (GA). Some of her job responsibilities during this time included product marketing, marketing communications, brand management, market development, channel marketing, sales development and field marketing. While working with Apple in Northern California, Megan also met her husband, Jerry Bower. After sixteen years in California, Megan and Jerry decided to relocate to Pinellas County and reunite with family and friends. Megan then continued her professional career as the Director of Marketing for a Health & Safety company, then as business development manager with a local import/export company involved in housewares products from China, Thailand and India. Wanting to leverage her extensive sales and marketing background as well as work more independently, Megan then decided to depart corporate America and move into the real estate industry. She obtained her Florida real estate license and joined Coldwell Banker, Florida’s real estate brokerage company. Megan is now actively involved in selling real estate throughout Pinellas County. 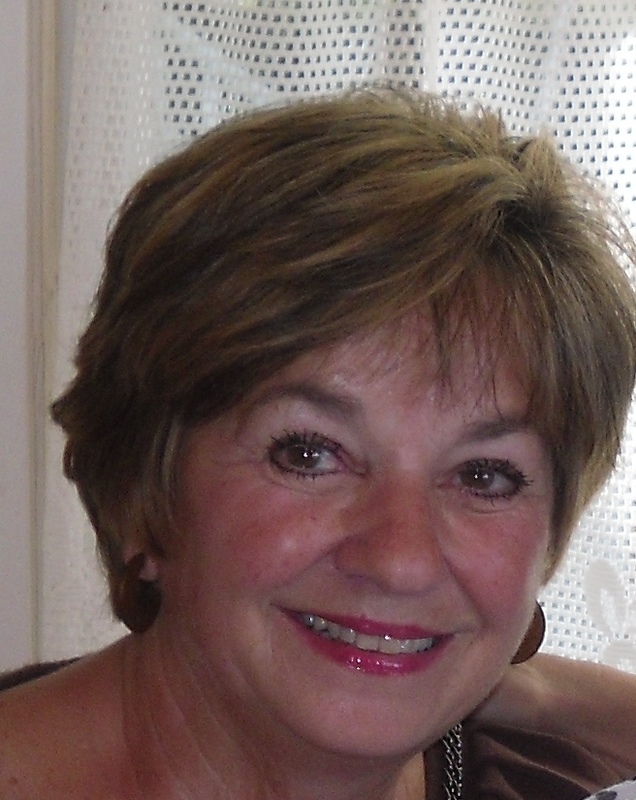 Gerri Fortino has joined the Megan Bower Team at Christie’s-Coastal Properties Group. She brings many talents and diversified experiences to the team. Gerri attended Rutgers University where she earned an interior design certificate at LaSalle Institute, launching her into a new, creative career. “Moving to several states because of my husband’s career afforded me the opportunity to reinvent myself as a professional woman”, says Gerri. Experienced as a Vice President of Public Relations & Administration at a Houston oil company; the innovative & successful owner of a Tearoom/Restaurant in Southern Pines, North Carolina; followed by Vice President, Special Events at the Clearwater Regional Chamber of Commerce; Public Relations at Continental Airlines; and most recently as Event Planner at The Palms of Largo. Gerri brings many creative skills to Christie’s-Coastal Properties Group. She is currently a member of the Tarpon Springs Yacht Club and Greater Belleair Young Women’s Society, where she served on the Executive Board; she beams with pride to have completed the Florida Gulf Beaches Halfathon.